Based close to the Angel, Islington, 11 bus routes provide easy access to both the West End and City of London, 24 hours a day. The bus routes provide a fast and reliable service running every few minutes. All bedrooms have recently been re-decorated and furnished. All bedrooms have a wash basin, colour television and tea and coffee making facilities. The guest house is centrally heated throughout. Bathrooms are shared where there is at least 1 bathroom for every 2 rooms (that is 1 bathroom for every 3 guests). We have 11 bedrooms, 5 bathrooms (each with shower and toilet) plus 1 extra toilet. The guest house is completely non-smoking. We are registered with the Visit England (the official tourist board)and following their inspection have been awarded a 3 star quality approval. 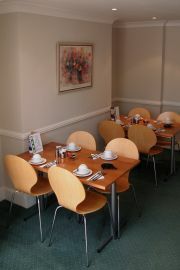 Rates include a full English breakfast with a variety of choices including vegetarian options. You can park your car free overnight in the road but please note that there are some daytime restrictions. Vegetarian options are available and special dietary requests will be catered for with prior notice. Public transport from the Angel, Islington underground station take bus number 38, 56, 73, 341, or 476 to the last bus stop on Essex Road. Ockendon road is opposite this bus stop. Car from A1 (Highbury Corner roundabout): take the St. Paul's Road exit from the roundabout. After 1km turn right at a major traffic light junction onto Essex Road. Ockendon road is the 5th turning on the left. 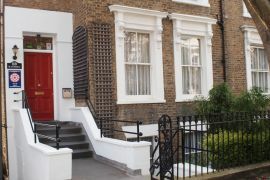 Single rooms: £59 to £75 per room per night. Double rooms: £81 to £97 per room per night. 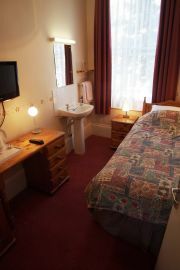 Triple rooms: £91 to £115 per room per night. Family room: £99 to £122 per room per night. We are open for enquiries from 8am (0800hrs)to 10pm (2200hrs). On Check In we give keys to guests so that they can come and go at any time.